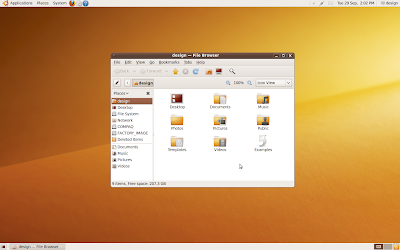 Design team member Michael Forrest writes about the Ubuntu 9.10 default wallpaper. It's not a quantum leap, but it feels like the lights have been turned on. I don't mind this background, but wheres the karmic koala make over Ubuntu was meant to be getting? And if there's going to be a black Login screen, this doesn't really fit, same with jaunty jackalope, the GDM and wallpaper didn't match and it just makes everything feel a bit wrong, as though its been but together by someone who doesn't really appreciate design.